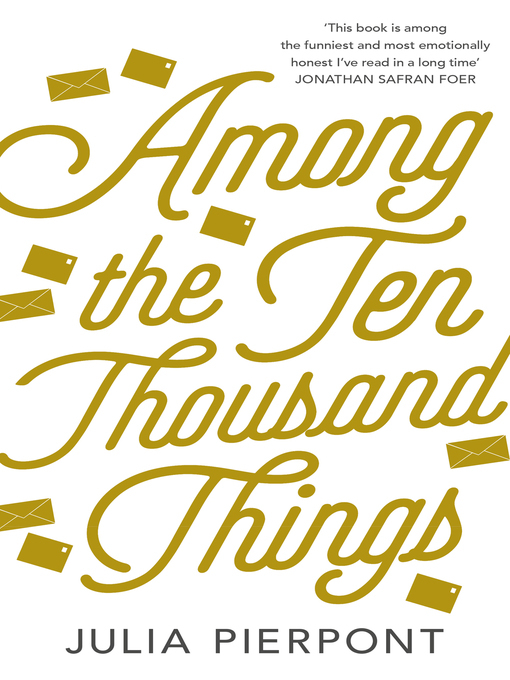 Among the Ten-Thousand Things chronicles the breakup of a family in contemporary New York following a devastating extra-marital affair. Jack is a sculptor – charming and vain, visionary and vulnerable in equal measure – whose controversial work wins him attention from a young admirer. When Jack's spurned lover sends his wife Deb a box of their correspondence to their apartment (and after it is accidentally intercepted by their children), Deb takes refuge with nine-year-old Kay and eleven-year-old Simon on Rhode Island where they become embroiled with a local family that hauntingly reflects their own. At once a mordant moral vision of modern family life and an ironic dissection of our self-deceptions, Julia Pierpont's first novel is reminiscent of Jonathan Franzen and Jonathan Dee's blistering portraits of post 9/11 American family life. Brimming with lyricism and emotional intelligence, Among the Ten-Thousand Things is an astonishingly original and sure-footed debut that reflects our world back to us with extraordinary force.